We are consistently recognized as one of the most trusted Denver Locksmiths. Being locked out of your home, vehicle, or business could be extremely stressful. Call us for fast reliable service and put your mind at ease! When it comes to choosing an emergency locksmith, Denver has a lot of options. We set ourselves apart by answering all service calls, 24 hrs/day, 365 days/year: e-mail us at 5280locksmith@gmail.com or call (720) 383-0179 for speedy service. We strive to reach your property within 30 minutes of receiving your call, and always communicate our progress to our customers whether we are traveling to you or fixing your busted lock! Our Locksmith Denver technicians are here to provide affordable and reliable locksmith service. Locksmith Denver provides you with a professional service for your home, car, or business. 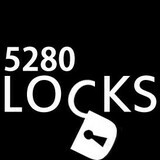 Call any time you are in need of a locksmith, 24 hours a day. We are here to help with emergency situations such as lockouts and also provide a host of additional services like locks change, locks re-keying, high security locks installation, locks repair, or new car keys. LOCKSMITH DENVER SERVICES: Emergency Lockouts Residential and Commercial Locks Auto Locks Installations and Repair High Security Locks Locks Re-keying Garage Door Lock repair and Replace Mailbox Locks Change File Cabinet Lockouts and Locks Change Business Exit locks and Panic Bars New Car Keys Car Keys Programming Key Fobs Locksmith Denver knows that everyone needs to feel protected and shielded, out of harm’s way. Good, solid and reliable locks provide a sense of security and solid protection from harm, uninvited guests and dangerous break-ins. When you are in need of a locksmith, there is no time to waste. That is why we arrive as soon as the call is placed and work hard to make sure the job is done well in a quick and efficient, timely manner. The fully-licensed and insured Denver Locksmith technicians are ready to come to you to help in less than a half hour. We hear all too often that life is too busy and your home is too valuable to keep up with on your own. That is where we come in. Handyman Matters can handle simple home projects and repairs, as well as larger, more complex improvement projects. We do it all! Our Professional Craftsmen are skilled and experienced, assuring you of a job well done. Our commitment to you, the customer, is at the core of who we are. We know how important your home is to you and we want to be your home ally. Our Pledge to you is simple. We will treat your home “like it’s our home.” Handyman Matters of Boulder County specializes in those small-to-medium-sized jobs that you may not have the time to repair, or know-how to fix yourself. Little things like replacing a garbage disposal, fixing a screen door, or adding a ceiling fan can make a big difference in the comfort of your home. We are skilled in over 1,162 projects around your home and office. Whether its repairing drywall, remodeling a bathroom, or simply organizing your garage, we're here to help! Our craftsmen are true professionals; they each have over ten years experience in the field and are bonded and insured. Each craftsman has gone through a full background check and skill assessment before they are hired. You can feel confident having them in your business or home! 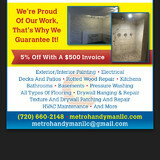 Call us today for all of your home and business repair needs. We look forward to working with you! Best Denver Handyman Services guarantees services that give you the desired results while also making sure you know exactly what to expect the entire time. Each solution we offer gives lasting results that are safe and aesthetically pleasing. Call our office today for a quote! Let’s face it: we aren’t all skilled in the home repair department. A Arvada handyman, however, should be able install or repair just about anything in your home. From hanging pictures to repairing appliances, they do it all. Most local handymen in Arvada, CO are capable of completing any basic home repair, though some may specialize in different skills than others; so if you’ve got a specific job in mind, make sure the handyman service you consider hiring is up to the task. 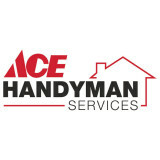 What can a local Arvada handyman do? While home handyman services in Arvada, CO usually cover most of these things, sometimes it’s better to hire a specialized professional so do certain jobs, especially if it’s related to major plumbing or electrical fixes. Here are some related professionals and vendors to complement the work of handyman: Heating & Cooling Sales & Repair, Plumbers, Electricians, Roofing & Gutters. 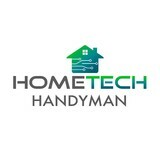 Find an Arvada handyman on Houzz. Narrow your search in the Professionals section of the website to local handyman servicesin Arvada, CO and read reviews and ratings to find one that fits your needs.